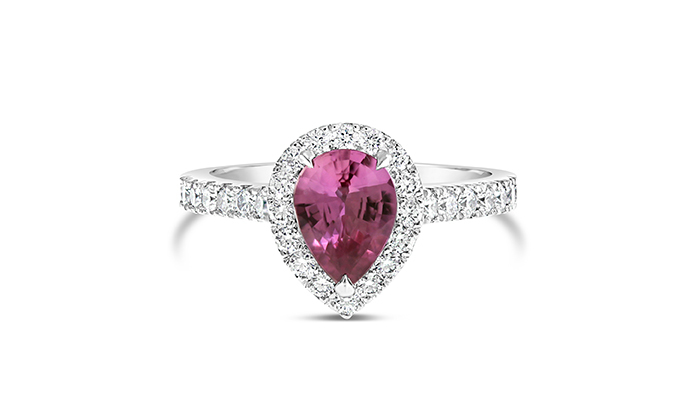 A pink sapphire engagement ring is the perfect way to celebrate your femininity. 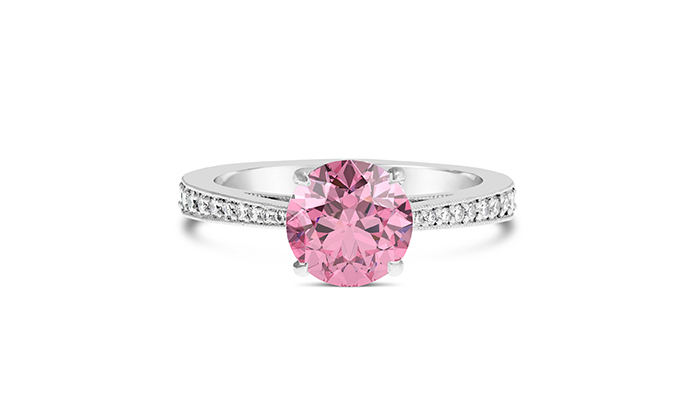 The delicate pink variation of a traditionally blue sapphire is a pretty twist on a coloured gemstone engagement ring. 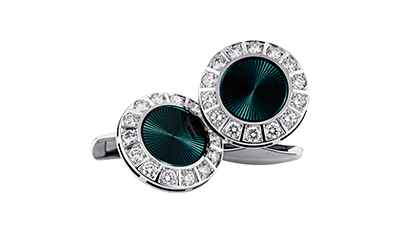 Its subtlety makes it infinitely wearable while, at the same time, showing your personality and sense of style. Sapphires have long been highly regarded. In fact, the ancient Persians thought that sapphires were the pedestal on which the world perched. 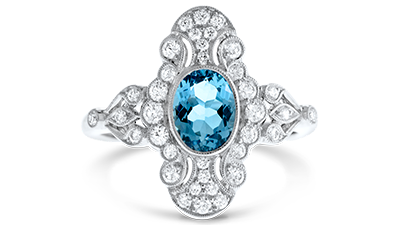 They also believed that the sky was blue as a result of reflecting off sapphires – which are most commonly found in hues of blue. According to Jewish Talmudic teachings, the Ten Commandments were inscribed on blue sapphire as a reminder of the heavens and God’s throne. They are believed to symbolise nobility, truth, sincerity and faithfulness. 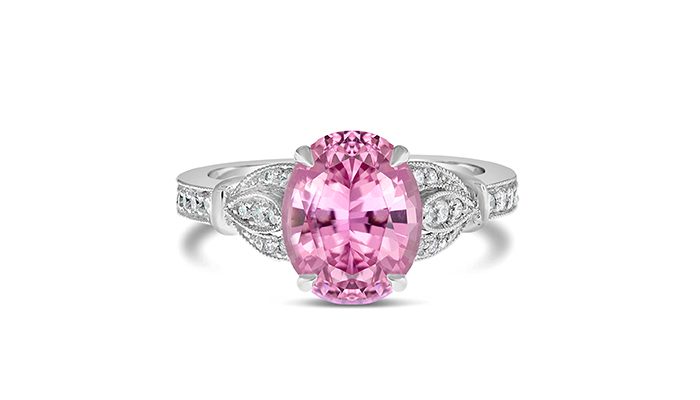 Combined with pink’s links to femininity, romance and charm, a pink sapphire is a gemstone to be treasured. 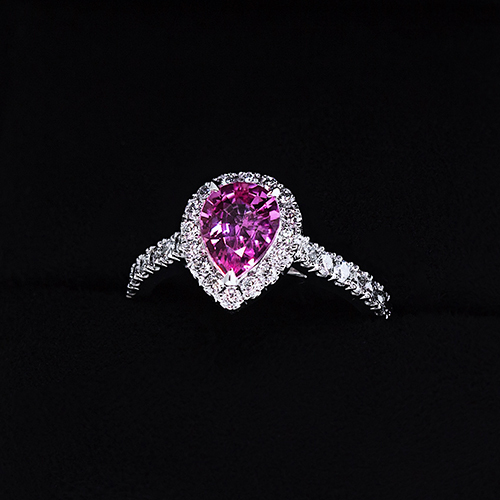 The pink sapphire is a variation of the more common blue sapphire which is made of the mineral corundum. 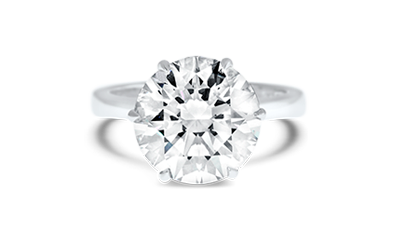 Similarly to rubies, sapphires rate a 9 on the Mohs scale of hardness. 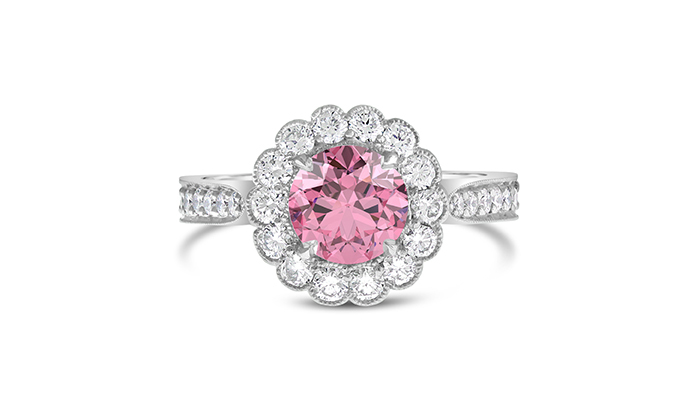 Thus, pink sapphires are hard-wearing, durable and highly suitable for an engagement ring. 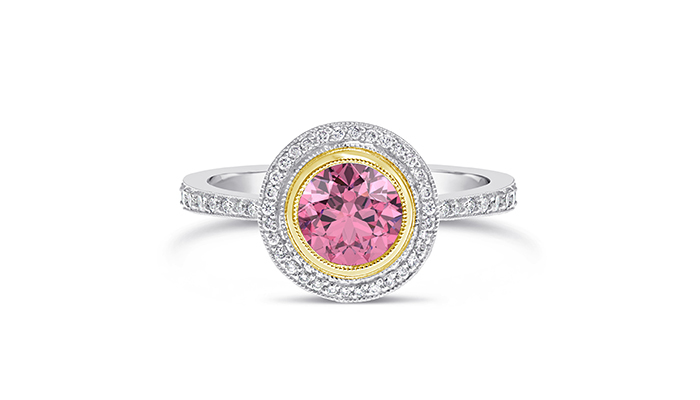 While some pink sapphires are pale in tone, the very rare padparadscha sapphire is a fiery pink and orange hue. Found in Thailand, it is named for the lotus blossom flower and is highly prized. While sapphires are mined around the world, the most well-known regions for quality stones are Kashmir, Thailand and Burma (now Myanmar) as well as a more recent find in Madagascar. 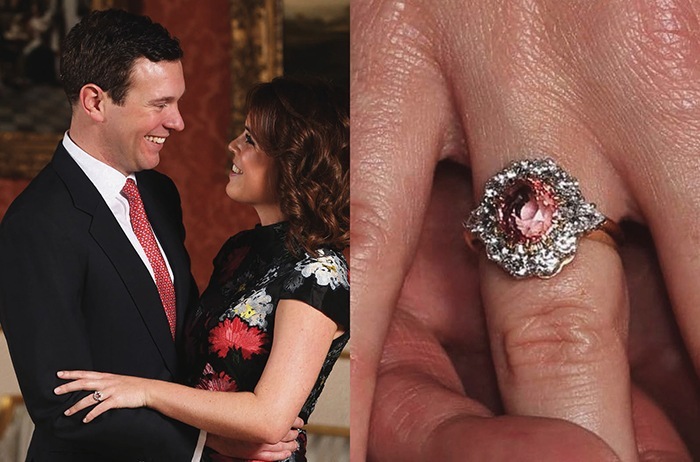 engagement ring from Jack Brooksbank is a stunning example of how beautiful a coloured gemstone engagement ring can be.